I love rhubarb and it’s really tangy flavour. However I have grown up with mostly sweet dishes involving rhubarb and I thought it would be perfect as a chutney, or “Thokku” as we call it in Tamil. 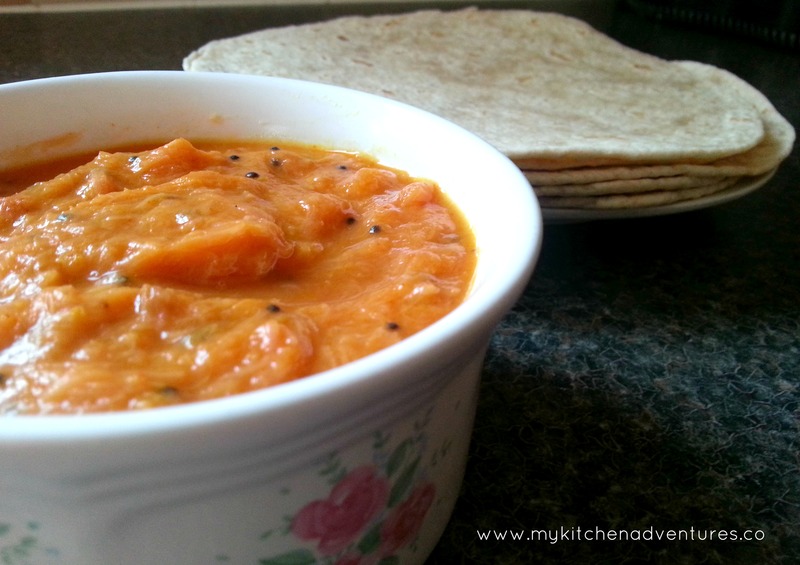 Thokku is great with hot rice, chapathi, Idli, Dosa or my mother used to spread it on our sandwiches for school or picnics. Yum! 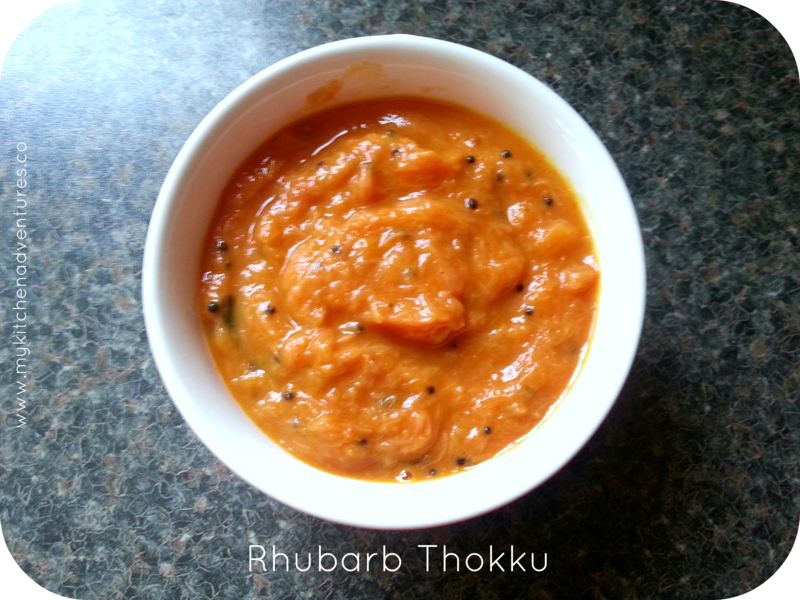 As a lover of all things tangy, Thokku has always been a favourite chutney of mine and is a great recipe made with most things with this flavour e.g. gooseberries, tomatoes, cranberries, raw mangoes. My favourite Thokku as a child was with cooking apples and my mum used to make lots of this and then gift it to our friends and family and it kept well in the fridge for a week or so in a air tight jar. So it made perfect sense to me to try out the recipe with rhubarb which comes into season in Spring in my part of the world. This amount makes a small jar of Thokku. 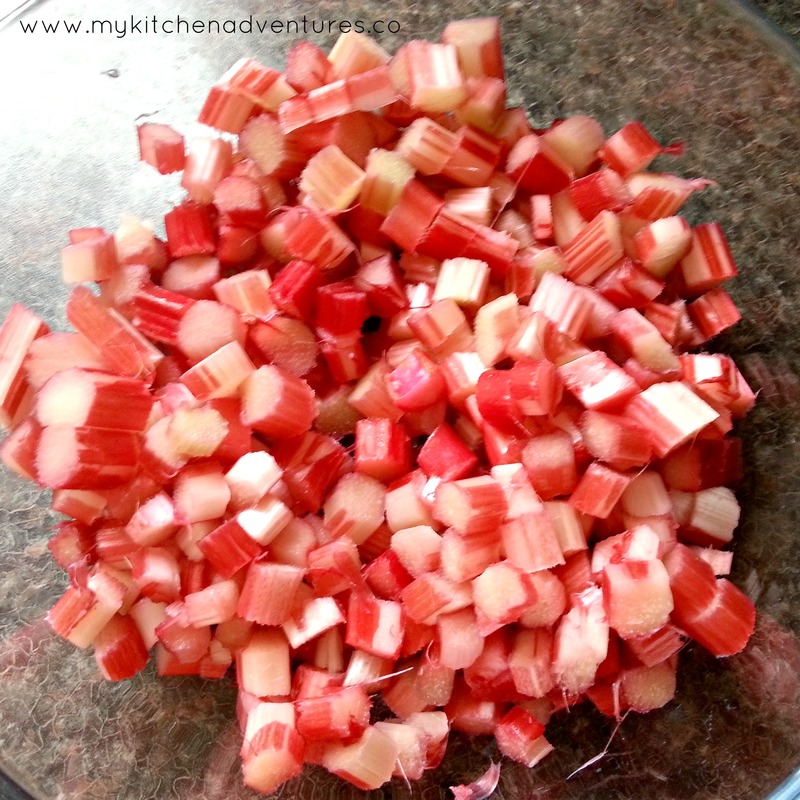 Dice the rhubarb into small cubes (see photo above) and keep aside. In a heavy bottomed saucepan heat the oil and then add the mustard seeds. As soon as they start popping, add the fenugreek seeds and curry leaves. Careful not to burn the fenugreek seeds as they will produce a very bitter flavour. Then add the asafoetida, chilli powder and turmeric. Mix well, taking care not to burn the spices and they swiftly add the diced rhubarb and salt. Mix well and then leave for about 20- 30 mins on a low flame, stirring every few minutes to ensure all the rhubarb gets cooked and coated with the spices . Check the seasoning about half way through,. The chutney/thokku is done when the rhubarb is completely broken down into a paste and the oil starts to separate from the rest of the mixture. that looks amazing, and rhubarb chutney is totally new for me, thank you!